The Canadian Armed Forces has released the name of the soldier killed during a training exercise at an army base in Manitoba over the weekend. Cpl. 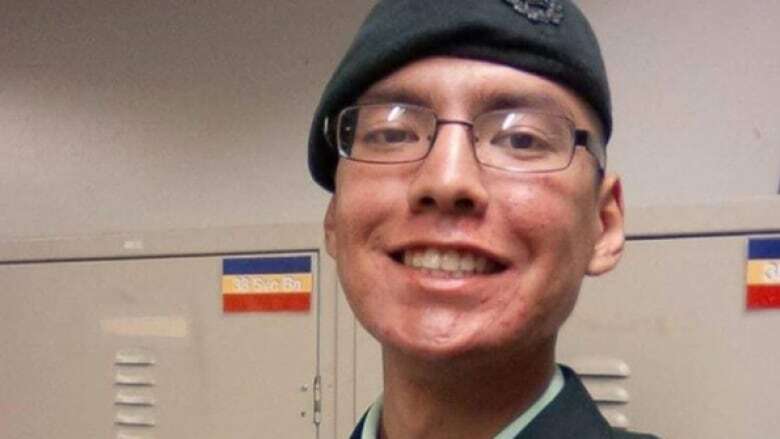 Nolan Caribou, who was an infantryman with the Royal Winnipeg Rifles, was killed at CFB Shilo, about 205 kilometres west of Winnipeg, around 7 p.m. Saturday. "On behalf of the members of the Royal Winnipeg Rifles, I would like to relay our sincere condolences to the family and loved ones of Corporal Nolan Caribou," said Lt. Col. Sean Moran, Commanding Officer with the Royal Winnipeg Rifles, in a news release. "We are saddened by the loss of this soldier, who was a valued member of the Royal Winnipeg Rifles." Caribou was killed during a training exercise that focused on basic defensive routines, patrolling and raids, according to the release. The Canadian Armed Forces says no live ammunition was used during the training exercise. Caribou was a member of the Royal Winnipeg Rifles of the 38 Canadian Brigade Group, said Lt. Stacie Nelles, a spokesperson for the 38 Canadian Brigade Group. He had been an infantryman with the unit for five years and had never been deployed operationally as a member of the Canadian Armed Forces. Caribou's death is currently under investigation by the Canadian Forces National Investigation Service. Caribou was raised in Winnipeg but has family connections in Pukatawagan, Man., where his mother is originally from. Shirley Castel, a councillor with the Mathias Colomb Cree Nation, which includes the community of Pukatawagan, knows the family and says news of Caribou's death has left many in the northern Manitoba community saddened. "People are pretty sad to know that one of their own lost a son," she said over the phone from the community about 700 kilometres northwest of Winnipeg Sunday night. "He'll be sadly missed." Castel says she last saw Caribou in the summer when he visited Pukatawagan with his mother, who now lives in Winnipeg, and his grandmother from Toronto. She remembers him as a kind and selfless man. "He was a happy-go-lucky guy — always helpful with others — he would give the shirt off his back to help his fellow man," remembers Castel. "He had a good life ahead of him and it's sad to see when we lose people at a younger age." Manitoba Premier Brian Pallister tweeted he was "saddened to hear tragic news of the death of a Winnipeg reservist at CFB Shilo." Minister of National Defence Harjit Sajjan also tweeted condolences. A death in the Canadian Forces family is one felt deeply by all. Our priority is the family at this time. As an investigation is ongoing, we cannot comment further at this time. The Shilo base is known for its training ground, which covers an area about 15 kilometres by 30 kilometres. There were a number of units training in different locations, Nelles said. "Its mission is to enable success of training, operations and force generation activities by providing premiere training venues and the professional delivery of comprehensive support to lodger units and dependencies," the Canadian Army's website said. 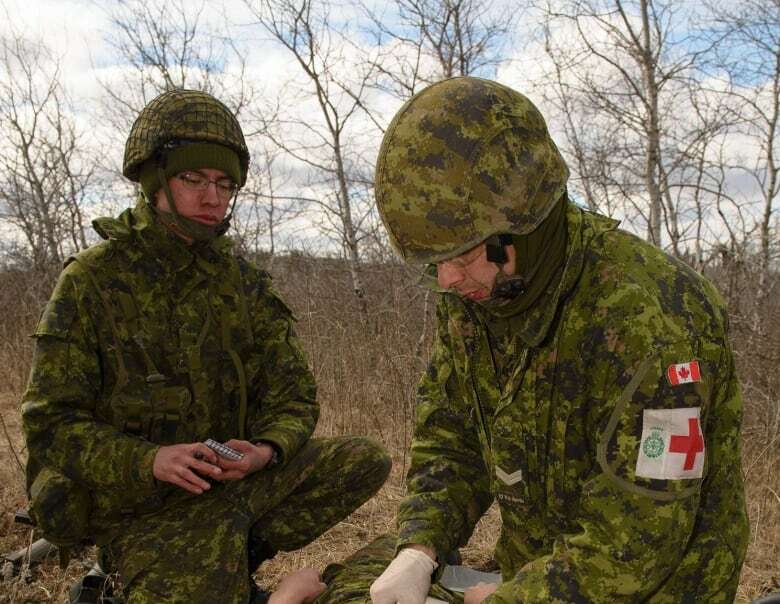 The base also provides training for a number of organizations outside of the Canadian military, including the RCMP, Manitoba corrections and troops from several foreign countries. It's the third time this year a soldier was killed during a training accident on a Canadian base. Sgt. Robert Dynerowicz died in April after he was involved in an accident while riding in a light armoured vehicle during training at CFB Wainwright, Alta. Three other soldiers were injured. Master Cpl. Alfred Barr, a Winnipeg-based search and rescue technician, died in March during a routine training jump over Yorkton, Sask., after his parachute malfunctioned during training. Sgt. Robert Dynerowicz remembered Monday in Kitchener, Ont. It's also not the first time training has taken a dangerous turn at CFB Shilo. Pte. Kirby Tott, 25, died suddenly during a training exercise in July 2015. Then-defence minister Jason Kenney said it was due to a medical issue, not an accident. During a March 2015 training exercise, a military truck bound for CFB Shilo hit black ice and crashed. An army reserve captain suffered serious back injuries.